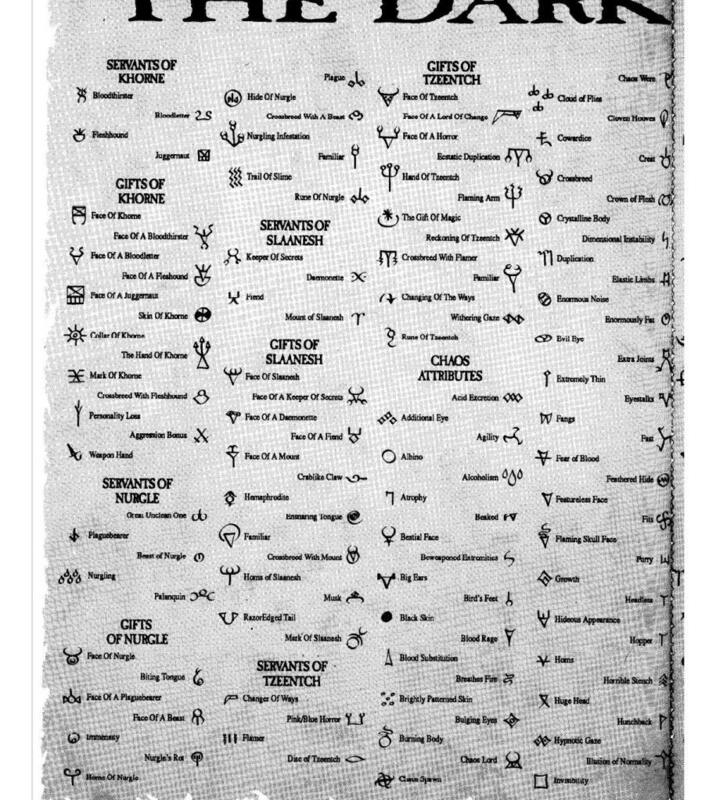 Here, we will try and compile all Chaos Dwarf runes ever spotted on official models and in artwork, as well as fan-crafted ones. This thread is to be updated later on with a more extensive list. 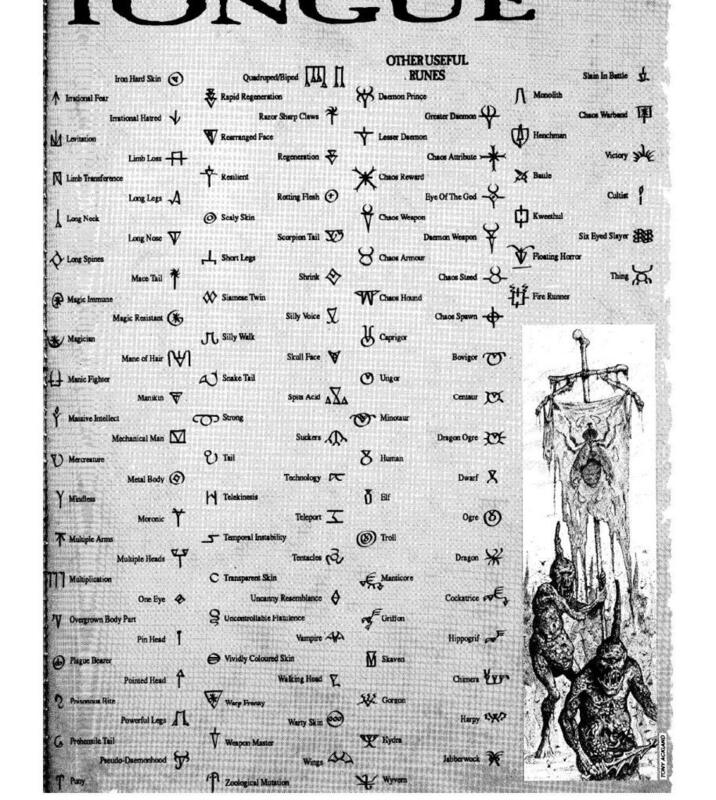 Since the very name Chaos Dwarfs implies links to both Chaos allegiance and (broken) Dwarfen ancestry, Dark Tounge and Khazalid runes will be included here as well. 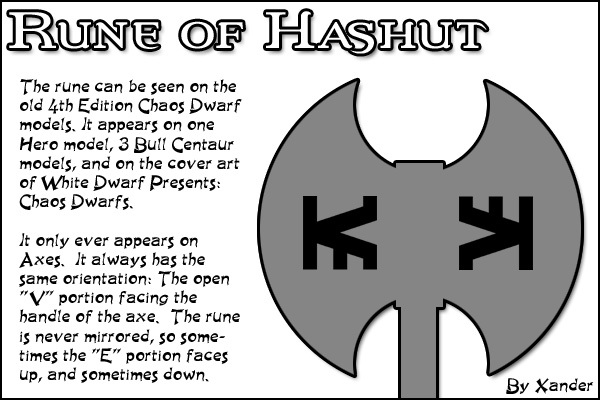 Not least because a certain Khazalid rune (Zharr) was used in a 4th edition piece of Chaos Dwarf artwork. This post was last modified: 06-04-2018 04:13 PM by Admiral. Excellent! Many thanks for this. No problem. 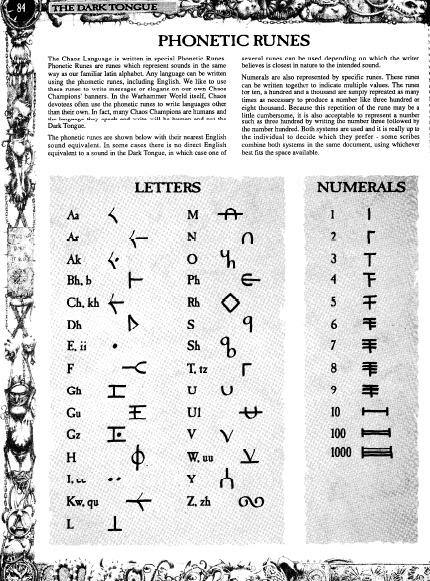 The Staff, or at least Nicodemus and I, will try and catalogue the very many unmentioned runes found in Tamurkhan Chaos Dwarf artwork and on LoA miniatures. 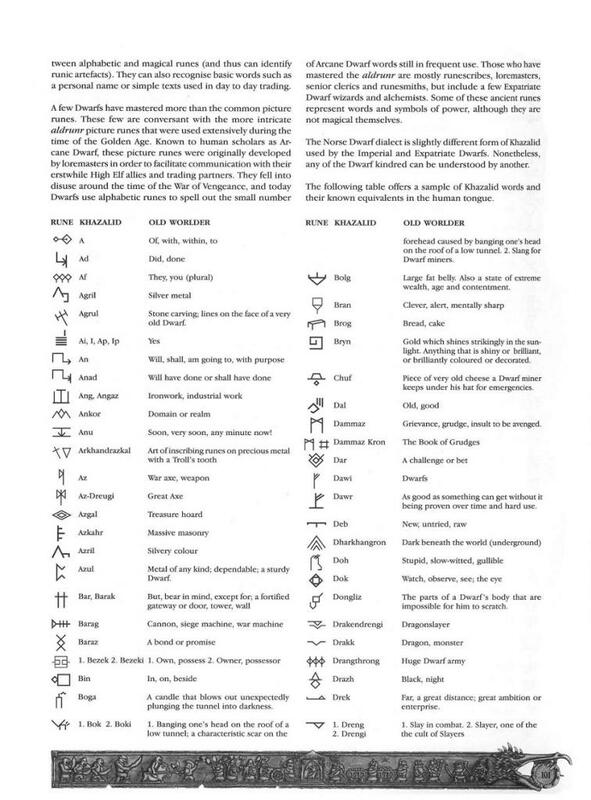 Do anyone here have good pictures of the runic glyphs found on the Dreadquake Mortar? Assistance here would be much appreciated. 30 slaves to the helper! 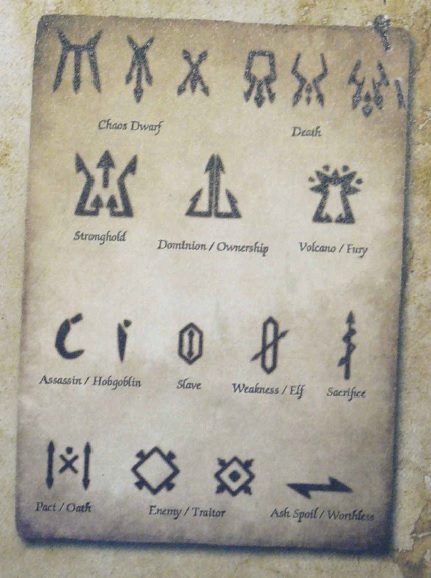 Also, do you have any good pictures of runes found on the Taur'ruk and Legion of Azgorh character miniatures? 20 slaves to each helper! 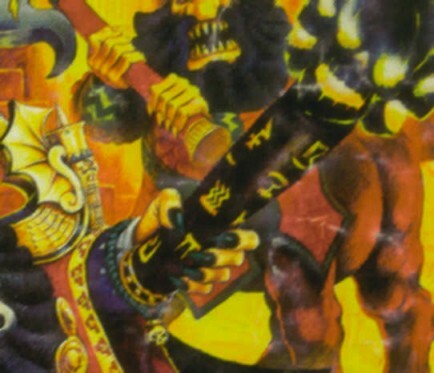 100 slaves to the soul that is first with sharing clear and good pictures of all the runes found on the inside of the Infernal Guard miniatures' shoulder pad riges. Including hand weapon and shield, fireglaive and command miniatures. 10 slaves for partial help, 100 for a complete survey. 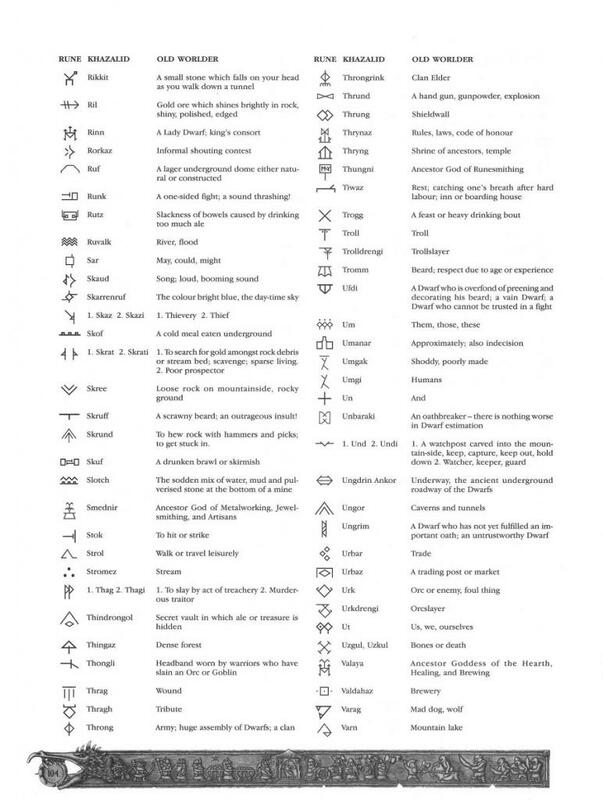 Exact imitations of runes by drawings on paper or in a program would be at least as good as photographs. This post was last modified: 09-23-2014 05:40 AM by Admiral. No slaves for the hard working, greenstuff pushing, bit glueing, plastic cutting, conversion making scratch builders eh?! This is a great project. There's a more than decent wiki artile in here. If no one else wil, I'll make an article after the first weekend of october. 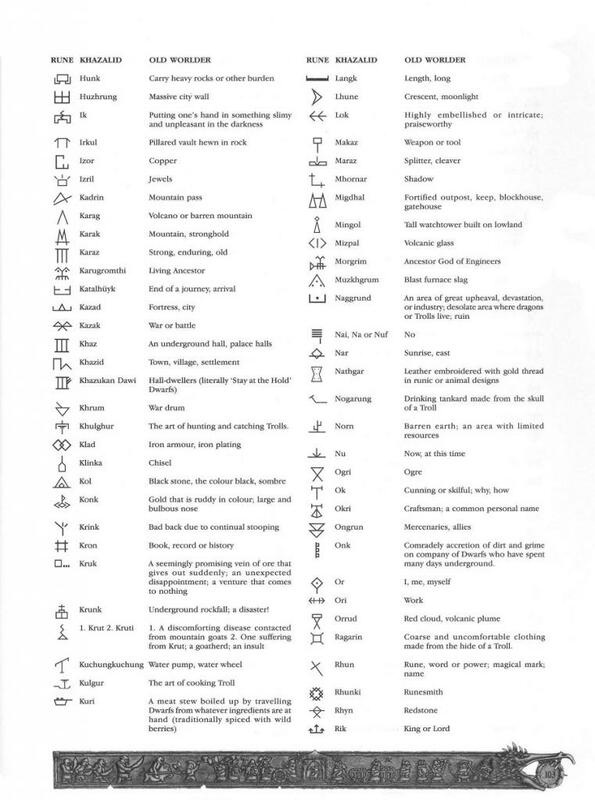 Well, they too can have slaves if they show up with runes here. 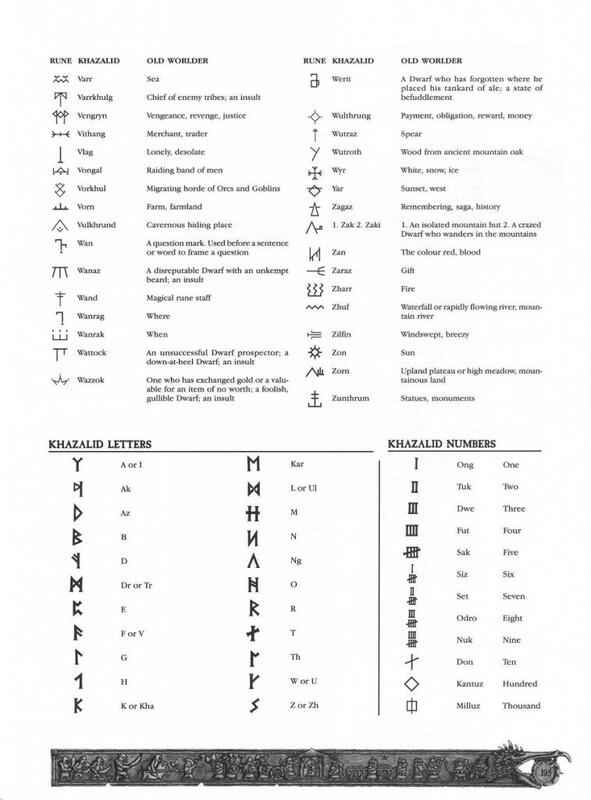 Fan-invented runes are welcome and will be awarded with some slaves. I can't promise how many per rune, because I might run out of thralls to hand out if there's a flow. You're welcome to make it a Wiki article, though it will get heavily updated further down the road. 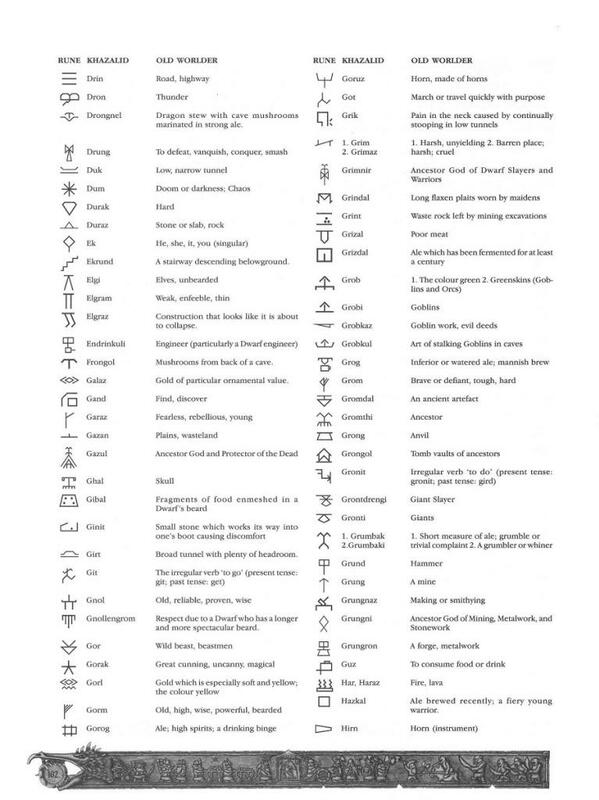 Nicodemus and I have planned to hunt down as many runes as possible, and then compile them with pictures of individual runes. That might take some time, though, so a preliminary Wiki article could be handy to have in the meanwhile. Besides, do someone know from the top of their head which WoH issue contained Thommy H's numerical system for Chaos Dwarfs? This post was last modified: 09-23-2014 06:52 AM by Admiral. Thank you very much, Herby! Have 10 slaves. It's a pity the camera couldn't capture the shoulder pad runes properly. I wonder if photographing a painted model with runes that are marked out with highlights and washes would make any difference. Kudos for trying, that counts a lot in my book! I can't help with the runes of the FW CDs cause I don't own any of them! Thank you, Zanko! Use them all you want, and feel fre to share your own inventions. This post was last modified: 10-06-2015 05:12 PM by Admiral. Nice stuff! Will come in handy. Good find, Aron! Have some slaves. 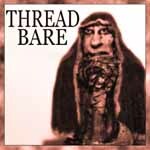 Thank you, Threadbare! 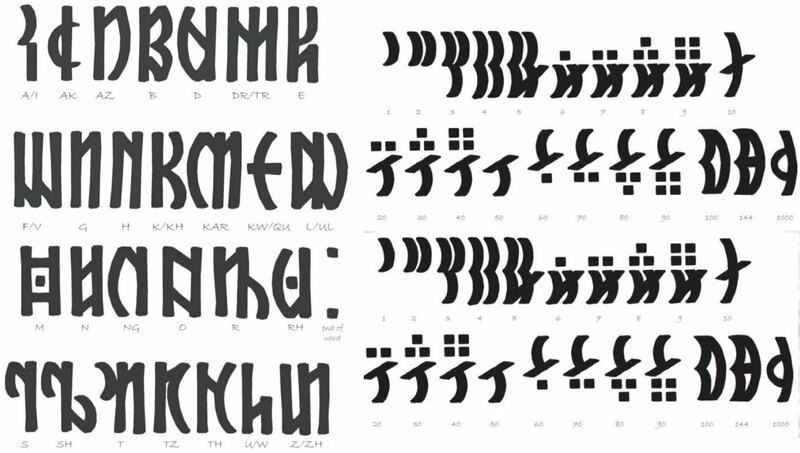 Had quickly forgotten about the need to update with Thommy's flavourful runic system (great article, by the way). Too many projects. Added Thommy H runes above. This post was last modified: 06-04-2018 04:15 PM by Admiral.